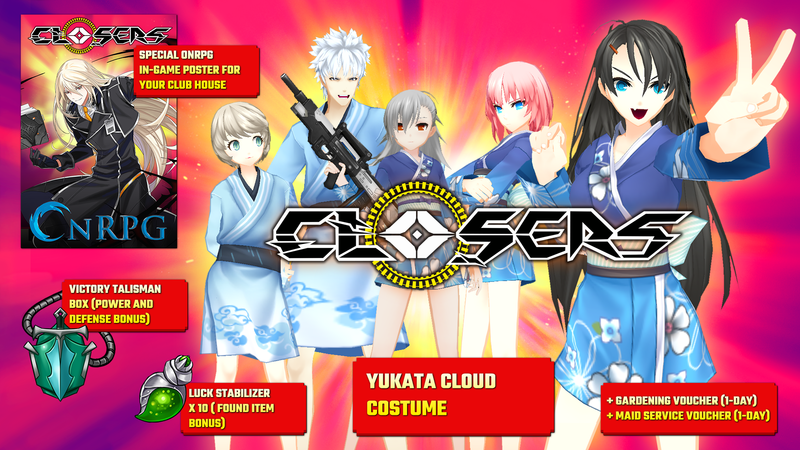 We’ve partnered with Closers to celebrate the arrival of Wolfgang with a giveaway of Yukata Cloud Costumes and an OnRPG-branded Wolfgang poster for your in-game house. In Closers, players become an elite agent of UNION, an organization dedicated to dealing with the threat of interdimensional aliens spilling through a series of mysterious portals that have appeared throughout New Seoul. Each character’s unique personality and combat style allows players to chart their own path through a complex, branching narrative, upgrading their skills and weapons along the way, and unlocking amazing new powers in a quest to vanquish a gargantuan interdimensional threat. Read our exclusive interview about the latest update featuring Wolfgang here! Special OnRPG-branded Wolfgang In-Game Poster for your Club House. Install and run the launcher and sign in with your En Masse account. Select the Closers tab and click on the “Redeem a Code” button. Enter your code and click the “Submit” button. Why can’t I get the key? .-. I created an account and logged in, and was able to claim and use a key. Sitll can’t get a key, i click in “get key” and nothing happens.